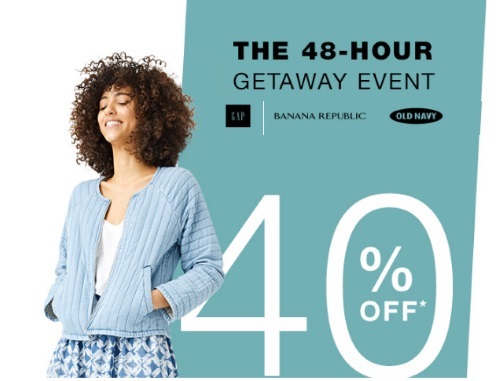 Gap Inc is having a 48 Hour Getaway Event right now! Save 40% off three great brands: Gap, Old Navy and Banana Republic! Enter the promo code STYLE at checkout to get the discount. Offer ends May 8, 2017. Offer is valid online only.